Intermarché, the third largest grocery store chain in France, has opened “Ugly” fruit and vegetable aisles in stores across the country. Called the “Inglorious Fruit and Vegetable” initiative, stores are offering disfigured produce at a thirty percent discount over their more aesthetically standard crop-mates in an effort to reduce food waste and increase availability of fresh produce for the health of their buyers. So far it seems to be working. According to the Daily Mail, the supermarkets have seen a 24% increase in foot-traffic since the “Inglorious” food hit shelves this year. 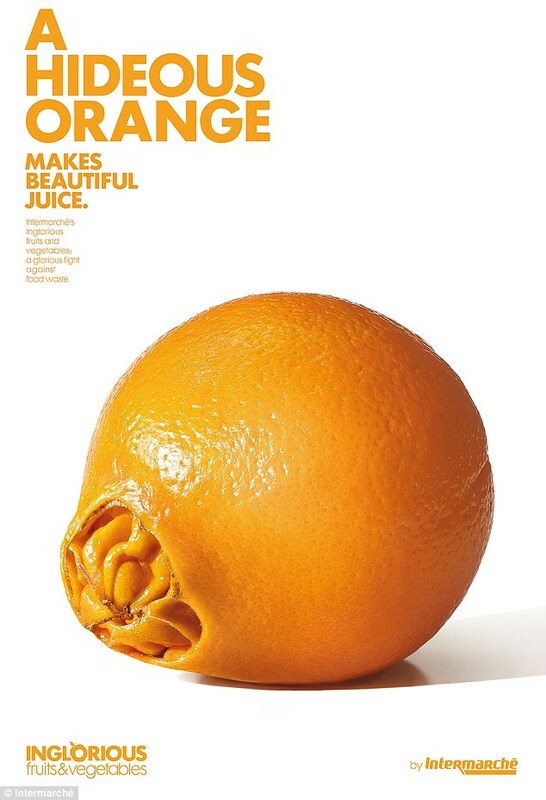 Helping the effort is an ingenious advertising series stressing that beauty is only skin or leaves deep, but good taste goes right through to core. The Good News Review recently featured another disfigured produce grassroots movement in Spain. Fruta Feia also focuses on helping the farmers who’s unique looking produce would normally be rejected received reimbursement for their crops commensurate with the discount at which the food was sold. In researching this article, no mention was made on whether farmers were part of the new Intermarché initiative.